which chipmunk کی, چاپمنک کی, چاپمنک یا chipette does he like the best? What is Simon's پسندیدہ subject in school? Simon Seville is the smartest of the group, possessing an I.Q. just north of Einstein. 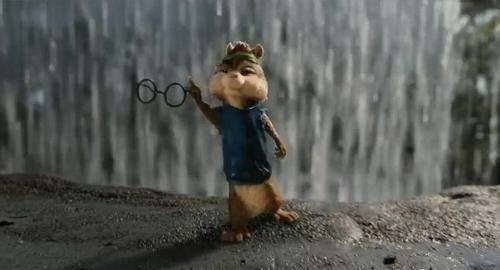 He is the only original chipmunk کی, چاپمنک in the series known to be bespectacled. He possesses a very dry sense of humor as well as a keen wit. Simon gets on great with Jeanette, one of the The Chipettes, who is smart, just like him. They are shy about their relationship, however it is obvious that he cares for her. Simon is the Middle child of the three Chipmunks, as revealed to us on the episode "Grounded Chipmunk" when Alvin states he has never been alone, except those five منٹ before Simon was born. a comment was made to the poll: do آپ think this picture is mean? Who is taller Simon یا Alvin?